The popular Pro-tec IPS gives full vest protection with a built-in back protection to take all the falls. 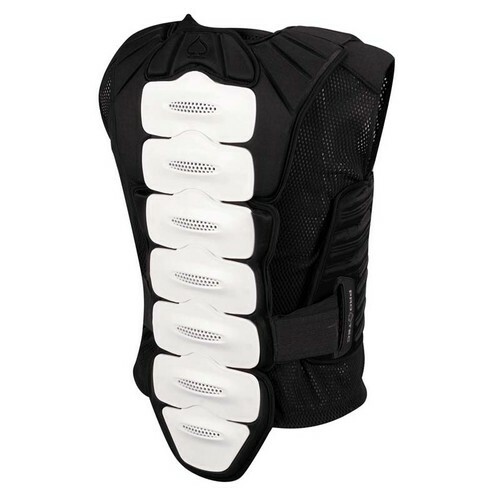 The Back protector allows for side to side freedom of movement and is fully removable. As well as spine protection the IPS Vest is equipped with a padded rib guard, sternum, shoulder and collarbone protection. 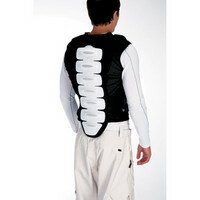 Removable moulded hinged spine back protector. Adjustable waist band, with a full zip front. Safety approved to CE European standard CE EN1621.2. Sizes: S, M, L, XL, See seperate size chart for more information.